The return of the robin, businesslike in his red vest industriously extracting earthworms from the front lawn, is a sign of spring so enshrined in American art and literature that it is almost a cliché. So, too, is the first crocus, small and delicate in the garden testing the cold air and the lingering snow as it reaches up, opening itself to the sunshine of the lengthening days. Despite the overused words and oft reproduced images recapitulating these annual events, the events themselves are new and fresh each year. For many, they herald not only the biological reawakening of a new growing season but also a personal emotional revitalization. In the 1940’s and 50’s, I grew up a ways southeast of the Red Rock Canyon property. For half a dozen years, the only water we had fell from the sky or was hauled from a spring in jugs and cans. And, even after we got water from a pipeline, our attempts to grow a garden or a lawn met with limited success. So, the harbingers of spring which touched my youthful soul (and still touch me the most deeply) were different, wilder, and more robust. 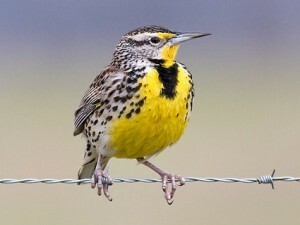 Spring was heralded, not by the robin, but by the meadow lark standing erect on a fence post, yellow bib bared to the world, loudly trilling a crisp melodious flute like greeting to all, … as I passed on my walk to school … . 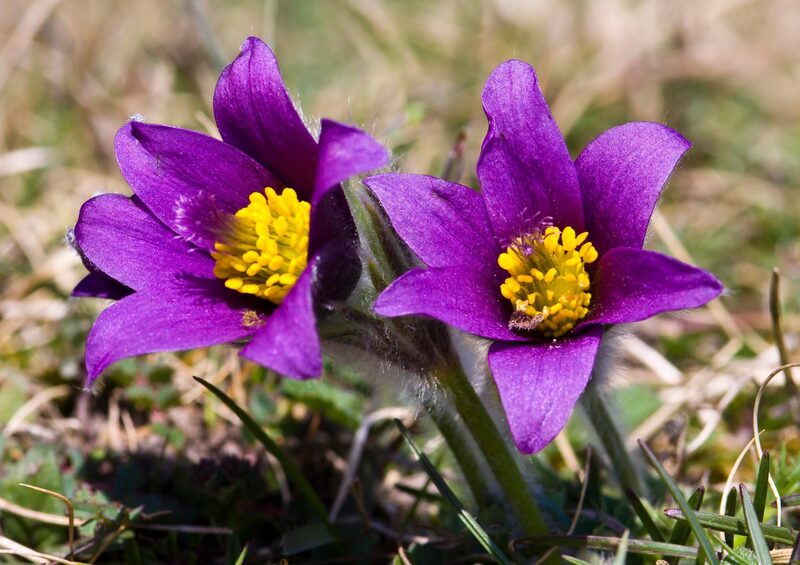 Rather than the smooth petite crocus of the garden, I saw the floral face of spring in the larger, hairy, almost disheveled, yet delicately beautiful pasque flower (prairie anemone, wild crocus). 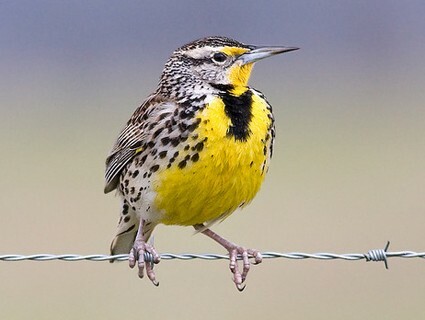 If I could choose to live again the springtime of my life, I would again choose to live it where the meadow lark announces the season of reawakening. Perhaps that is one reason I am so passionate about preserving a natural Red Rock Canyon, preserving a wild place where our increasingly urbanized and regulated community can readily reconnect with the meadow lark and the pasque flower, the dynamic order of nature in contrast to the designed and manicured order of the city. So, walk the Section 16 trail above Red Rock Canyon, walk around the Meadow Red Rock Loop, and look at the pasque flowers. See if you share my passion for the wild and the natural. We are at the beginning of a new season!